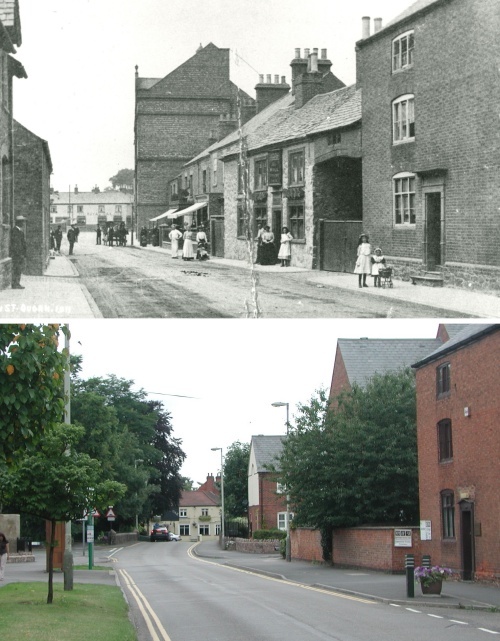 Many of the buildings have now disappeared including the Mill House Inn and Crown and Cushion Inn. Most of area occupied by Wright's factory has now become a residential development. The mill building itself (behind the buildings on the right) has been converted into apartments. The Royal Oak is clearly visible in the distance.